In recent years, we've witnessed an explosion in the popularity of archery. Nearly in lock-step with that meteoric rise is an increased interest in bowfishing. The typically mild conditions, low pressure and target-rich environments of bowfishing all combine to create a great way to pass a few summer hours — and the people have taken notice. Of course, it doesn't hurt that most of the best places to bowfish are also public and open to everyone, unlike top-notch big game destinations. 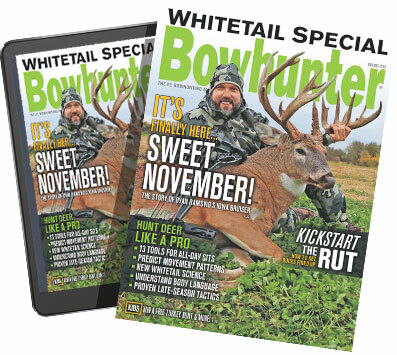 That ready availability has caught the attention of hordes of bowhunters looking to expand their season, and they've taken to the waters with a fervor never before seen. Bowfishermen vary greatly in many things, none more marked than equipment choice. Simple souls looking to take their spartan ways on the water may string up a recurve, affix a reel to it and slowly wade a meandering stream in search of finning suckers and carp. Others with a need for the latest-and-greatest might spend major bucks on a tricked out boat fitted with racks of lights, shooting platforms and beefed-up generators. Either style will do just fine; however, both demand the right gear. If you plan to hit the water in an attempt to skewer a few gar, carp or maybe even rays, consider the following 10 bowfishing products. All are designed to help you achieve your goal of getting slimy while grinning like a madman as you pluck from the waters a few scaly trophies.